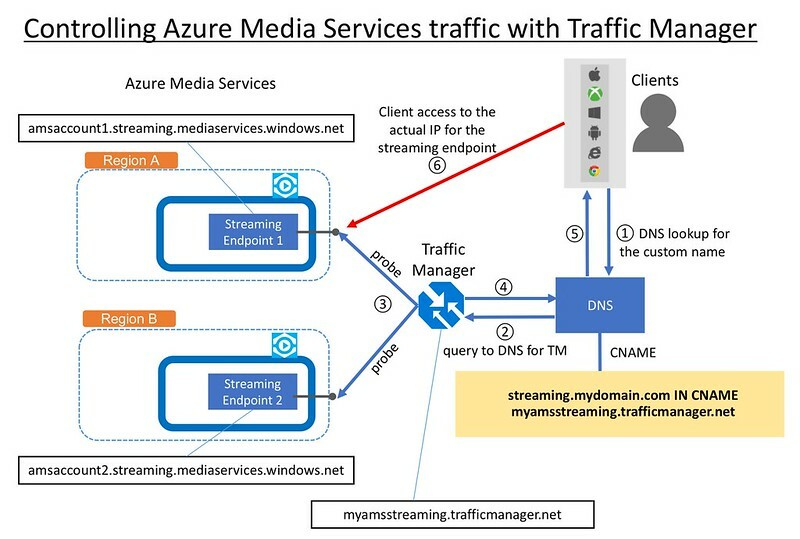 This is an article on how you can achieve Azure Media Services (AMS) streaming traffic distribution with Traffic Manager. When AMS endpoints are added to an Azure Traffic Manager profile, Azure Traffic Manager keeps track of the status of the endpoints (running, stopped, or deleted) so that it can decide which of those endpoints should receive traffic. You can configure the way to route network traffic to the endpoints by choosing traffic routing methods available in Traffic Manager. Suppose that you have 2 AMS accounts (amsaccount1, amsaccount2), and that you want to distribute requests to your Traffic Manager domain (myamsstreaming.trafficmanager.net) from video player clients to streaming endpoints in AMS. When AMS endpoints are added to an Azure Traffic Manager profile (myamsstreaming), Azure Traffic Manager keeps track of the status of your AMS streaming endpoints (running, stopped, or deleted) so that it can decide which of those endpoints should receive traffic. 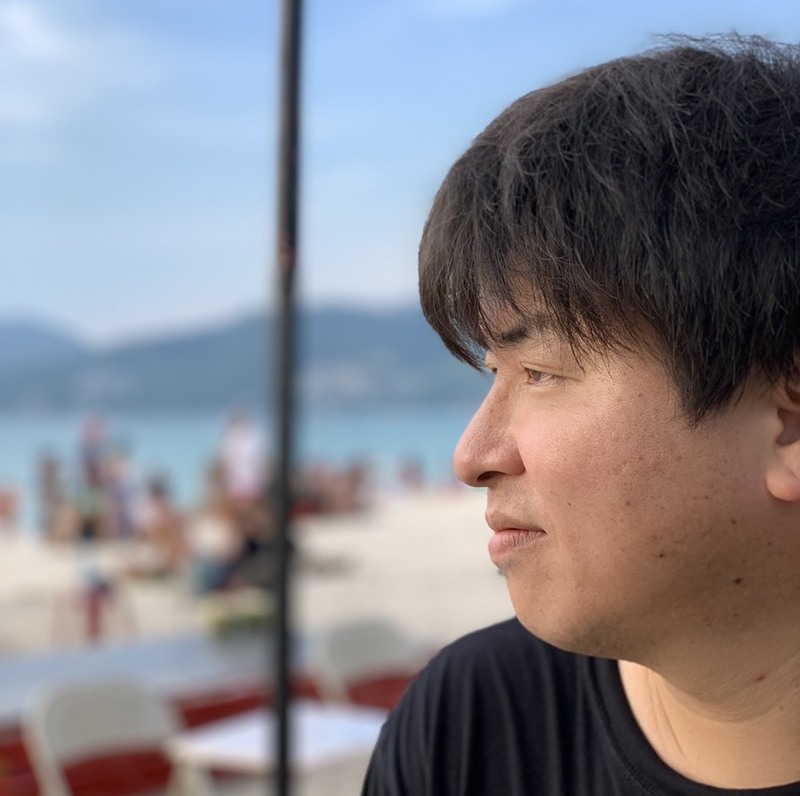 However, when it comes to AMS endpoints, it has to be toward a custom domain, NOT simply a Traffic Manager domain for clients’ traffic to be distributed into AMS endpoints using Traffic Manager. So let’s suppose you prepare a custom domain: streaming.mydomain.com. Refer to CustomHostNames section of StreamingEndpoint document to learn more about the configuration in this step. Choose “Streaming endpoint” in the top menu, right click on your streaming endpoint, and select “Streaming endpoint information and settings”. In Streaming endpoint information form, type in your custom host name for the endpoint, and click “Update settings and close”. That’s it. streaming.mydomain.com. 600 IN CNAME myamsstreaming.trafficmanager.net. myamsstreaming.trafficmanager.net. 300 IN CNAME amsaccount1.streaming.mediaservices.windows.net. amsaccount1.streaming.mediaservices.windows.net. 60 IN CNAME wamsorigin-origin-903f1f37105244fba2270ae7b64021bd.cloudapp.net. Make sure to check if the custom name lookup points to the other endpoint when one of the endpoints are down. Finally, check if you can playback video with your custom domain.